The question I hear most often from women is, “What is the best diet for my PCOS?” It’s usually followed up with a run through of all the popular diets, “Is Paleo the best diet for PCOS? How about Low Carb? How about Macrobiotic? Vegan? Weight Watchers? 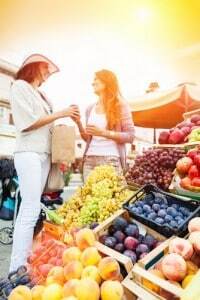 Raw?” The great news is that when you’re looking for the best diet for your PCOS, usually you’ve already come to realize that you need to treat the root cause of this health issue with the right foods. That realization, in itself, is a huge step. Perhaps you’ve tried Metformin and it just didn’t work for you, or you only ever wanted to use this medication short-term. Now, every body is different, and your PCOS may be different from your sister’s PCOS or your friend’s PCOS, but there are certain guidelines, diet-wise, that all women will benefit from following. 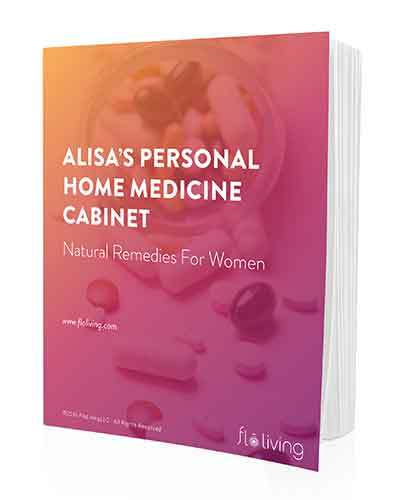 I have helped many, many women with all kinds of PCOS (different symptoms, different life stages, different experiences) to manage their symptoms long term and feel better within weeks with the FLO Living diet. But first, let’s look at these guidelines and what the best diet for PCOS must include if it’s going to work. Eating too much animal protein (I’m looking at you Paleo, Atkins!) can prevent ovulation. It increases the amount of estrogen in the body, creating hormonal imbalance. A Harvard School of Public Health study showed women who eat more animal protein than plant protein ovulate less frequently. We need protein, yes, but we actually don’t need all that much – excess consumption of protein actually converts to sugars. It’s hard for the female body to breakdown all that meat, especially when your cycle is at peak estrogen levels already. Most women with PCOS struggle on a Low Carb diet (hi, Atkins, Paleo, South Beach, etc!). While it’s important to recognize that there are bad carbs (white bread, pasta, potatoes) and good carbs (whole grains), and while it’s important to avoid gluten on the whole, cutting back carbs can make a PCOS sufferer feel even worse, because it kicks in blood sugar instability. I suggest brown rice, quinoa, buckwheat on a daily basis, and when you get to your pre-menstrual phase you’ll be thankful for the option of sweet potatoes! It can feel easier to stop eating carbs in the first half of your hormone cycle (the follicular phase), but the shift that happens in the second half makes low carb diets unnecessarily punishing. A diet that is too reliant on grains for protein and for feeling full and satisfied – like a Vegan or Macrobiotic diet – can create gut dysbiosis and decrease absorption of all the key nutrients that are required for hormonal balance, especially if your grains are not processed properly – ie soaked. If you have PCOS, this will make your symptoms worse. Whole Grains are great, but not in large amounts. Grains can stop you from carb-loading or feeling the craving for bad carbs like white bread and pasta, but you need to be careful for to go crazy with grains either! You only need a half cup serving at one time. Any diet that encourages calorie-restriction (Weight Watchers, Raw, etc) will cause spikes and crashes in your blood sugar, making your PCOS symptoms much worse. Processed foods increase inflammation and often contain foods that are toxic for your hormones like pesticide-laden vegetables, dairy, gluten, and non-organic, GMO, processed soy. Many fresh juices contain as much sugar as a glass of Coca Cola and are treated by your body exactly the same way. Whole foods are a much better choice for women with PCOS and any woman who is hormonally-sensitive. The stress that calorie restriction puts on your body provokes an internal inflammatory response. For the most part, these diets can only be followed short term, and then you will be primed to over-eat, even binge, when you have the chance. Many studies have shown calorie-restriction diets simply do not work longterm. When I first developed the FLO Living protocol I was experimenting on myself. Believe me, I tried all of the diets I’ve mentioned here, first. I found what worked for me and my PCOS – the foods that manage my symptoms of weight gain, acne, and depression. Over the years, I’ve worked with thousands of women with PCOS of different kinds and I’ve honed and refined and perfected my diet protocol to support them all in overcoming their own symptoms to move forward, feeling better. I have followed up with my clients over the years and seen them continue with the FLO Living diet long term without a problem. They’ve carried it through their lives and never feel restricted or deprived or, importantly I think, hungry! These other diets – Paleo, Macrobiotic, Calorie-restriction, Fasting – are not based on your unique female biochemistry, they’re based on research that doesn’t take into account the effects on mood, energy, and appetite throughout the menstrual cycle. Essentially, they were created for men and male biochemistry, male hormone patterns. No wonder they don’t work for women with PCOS! Second, which diets have you tried already? How can you follow the diet cycle if you don”t ovulate and have periods? You can chart out your phases on a calendar and eat accordingly. Once you get your period back you can reset diet to match day one of your periods. But never mimic an irregular cycle with diet, that will only encourage an irregular cycle! Yes the article was a little misleading with the title. It says best PCOS diet, but really just talks about the worst ones. Although I am grateful for the information, I wish she gave something to follow at the end. YES I have PCOS. Plus horrible PMT and possibly PERIMENOPAUSE? Im 45 and have tried every diet you mentioned and due to silly low calorie diets, Ive gained lots more weight over the years. I’m 5ft 4 inches and weigh 200 pounds. My main problem is that I am a very fussy eater and don’t really enjoy what I call lumpy, bitty, grainy, veg filled meals. I eat more like a fussy 5 year old. I have PCOS and right now, I’m not currently following any specific diet plan. | plan to start doing more paleo options (even though I know you don’t recommend it), but I was paleo for a few months in 2013 and it really seemed to help me manage my weight better, keep my blood sugars low/stable, I even had a regular period! But then I moved in with my boyfriend (now my husband) and his family, and as I didn’t have a lot of time to be making my own lunches to bring to the farm, I was at the mercy of whatever happened to be on the table. I have found that I don’t even want sandwiches or bread or sweet stuff too much lately, so it’s a good place to start! (I just made a bunch of stuff for school lunches, and the chocolate chip cookies were incredibly sweet, even though I used dark chocolate chips & coconut sugar.) Now if only I could get a few hours & a meal plan to coincide, it would be a whole lot easier! Hello i have PCOS and the most difficult part for me is that there isnt many information regarding this condition. I really admire your work. I dont have the money to subscribe to your protocole now but i will save money for it. Here in México there isnt anything like your protocole. I do have your book which i found very interesting?I love it. i love your blog and i keep up to date. i was diagnosed with PCO 3 years ago i was on birth control and have recently got off it about 2months ago. i got light period last month and this month i am ovulating but no period. what should;d i do. i am not that financially strong but would love to hear back if anything could help!! It could be a good idea to do the Flo liver cleanse to support your body to regulate post pill, and getting a variety of nutrient rich foods is critical! You can download the cleanse from floliving.com website (or contact support@floliving.com). You can also purchase the WomanCode book, this will provide you with a lot more info on steps you can take! Weight Watchers works for me as a plan because it is not really a calorie restrictive diet as it is nutrition balancing with points based on protein, fat, carbs, and fiber. I cook my own meals with good quality ingredients to minimize the concerns you listed above but track the points. One can eat as many whole fruits and vegetables as one likes for no points which could add to quite a bit of calories. Fruit juice is really high in Weight Watchers points for the reason you mention – they are pure sugar (carb). You may be painting Weight Watchers in a poor light. i am new here and fascinated by all that information that was never given to me by any doctor.. still i have some questions left. i am 38 now and am trying to get pregnant (which generally works, but ive lost two babies in 10th week within the last year). i have light pcos and take metformin. also my ovulation is very late (mostly around day 20-25) but my cycle takes only 30 days. so do i eat like shown in the myflo app or according to in which phase my body really is in? and since i know that i dont really digest meat very well, i was looking for meat alternatives (like quorn) or rather which ones are okay but couldnt find any information on that.. could anyone help out there? thanks a lot.